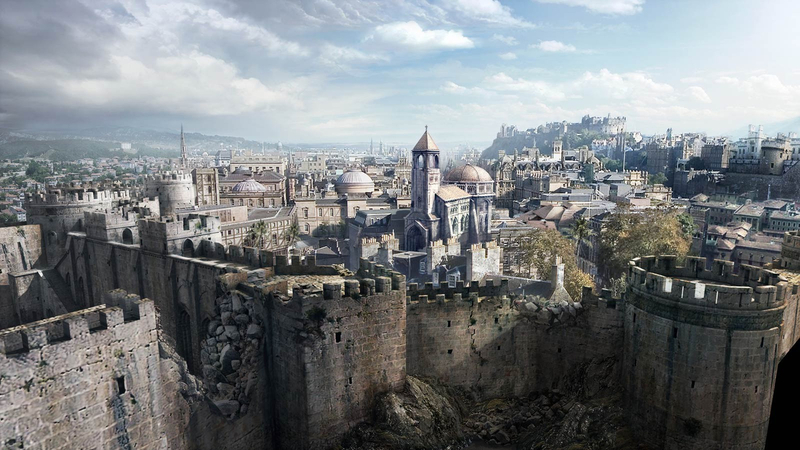 This is the final version of the openning matte painting for Assassin's Creed E3 2006 trailer. It was a lot of fun to do. It mostly consists of Photoshop work based on photo reference (thanks Francois for letting me acces your Scotland pics!! they where a huge inspiration!) and 3D rendered elements. After the painting was done, it was projected back onto 3D geometry in XSI to obtain the camera move as it is seen in the trailer.